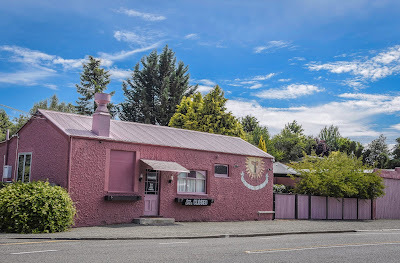 Duntroon is a small, historic town between Kurow and Oamaru. 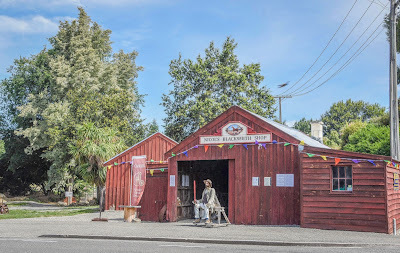 And it's obvious the community is proud of its heritage. Duntroon was established around 1864 and named after Robert Cambell who was born at Duntroon in Scotland. He came to New Zealand in 1860 and became a land owner. 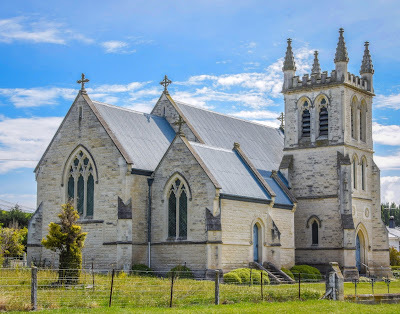 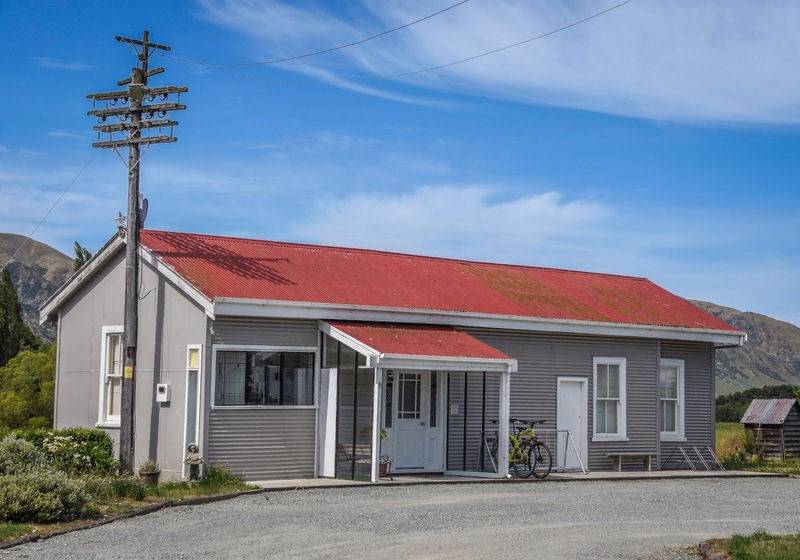 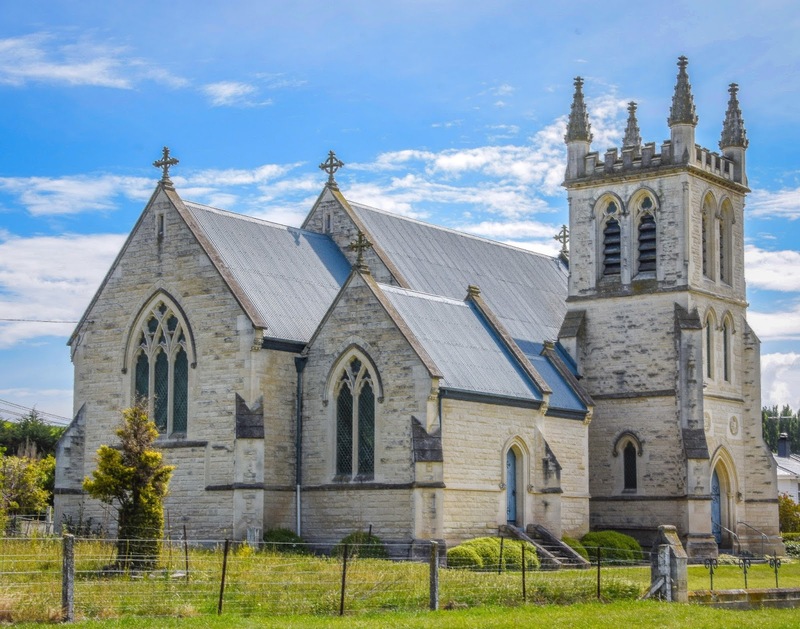 Situated on State Highway 83 is the eye-catching St Martin's Anglican Church, built from limestone quarried from the North Otago region. 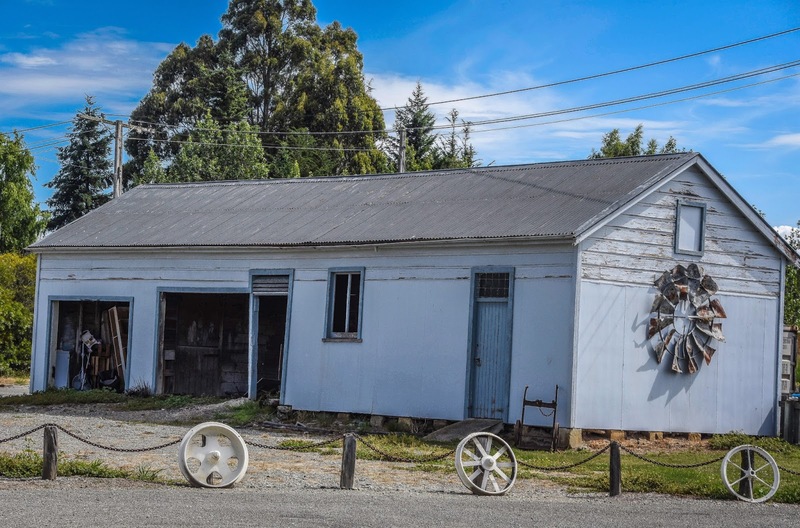 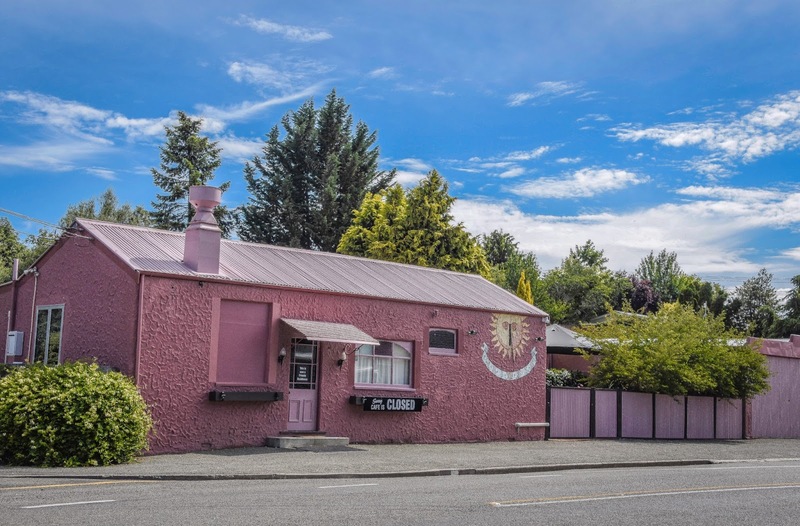 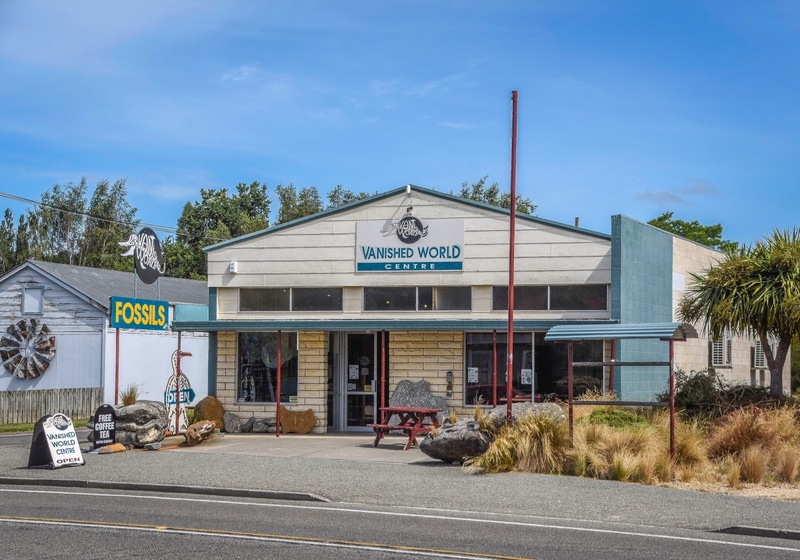 Nicol's Blacksmith is one of the few remaining blacksmith shops in New Zealand. 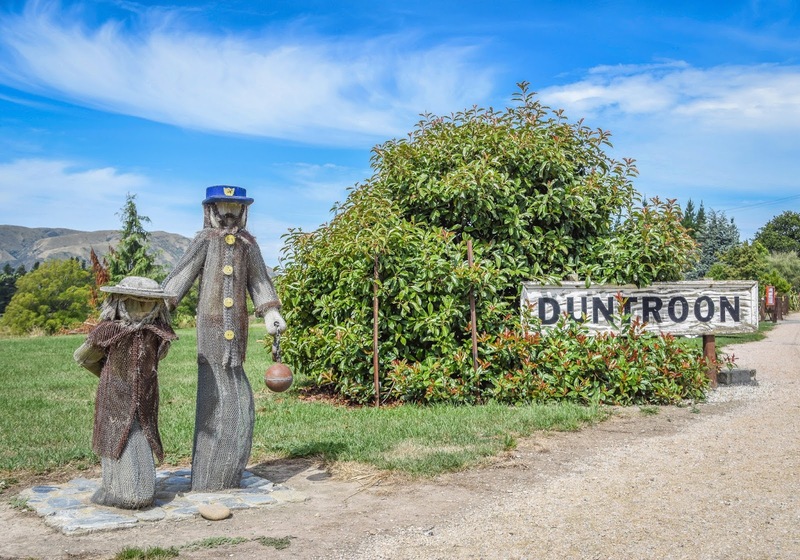 It's been part of Duntroon township for over 100 years and was named after the last working Duntroon blacksmith, Nicol Muirden. 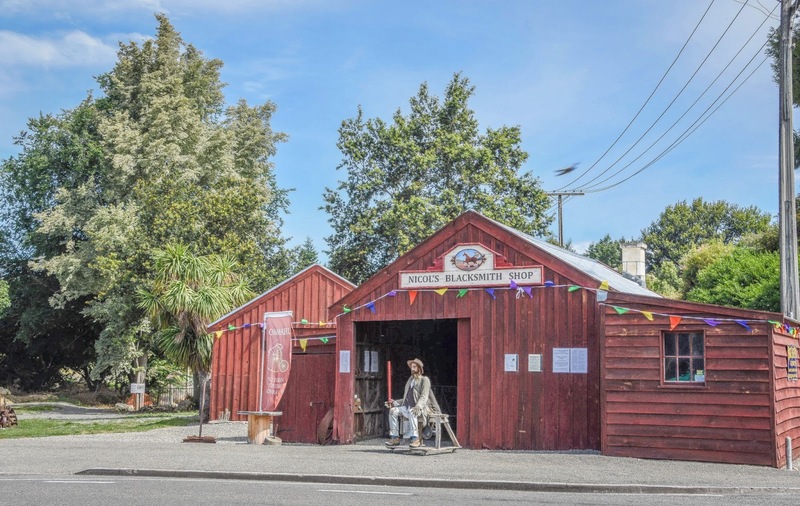 In 1975 four local farmers bought the building and its artefacts - about 30 years later the building needed to be restored, so in 2006 'Nicol's Blacksmith Historic Trust' was formed. 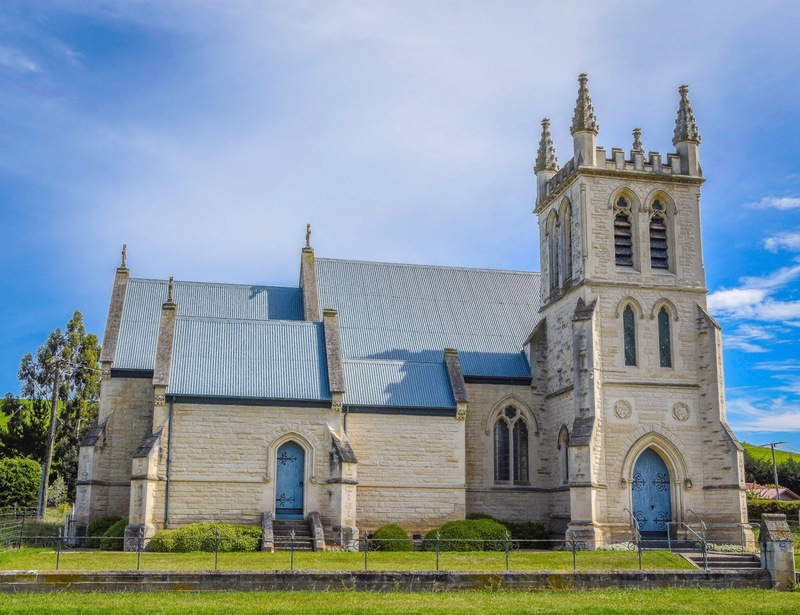 In 2015 it was fully restored and a community celebration was held for its re-opening. 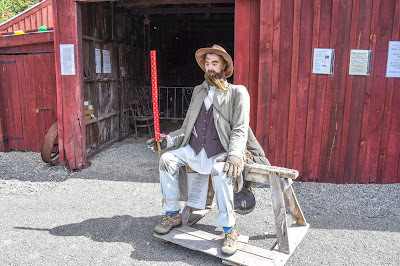 Behind the blacksmith building is a Moa made from scrap metal - the legs were made from hydraulic rams, horseshoes form the neck and brass doorknobs were used as eyeballs. 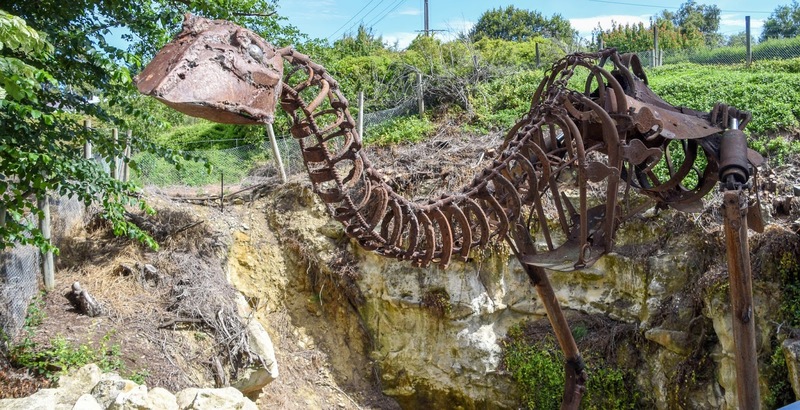 This monster Moa represents the estimated 90,000 Moas that once roamed the Waitaki Valley. 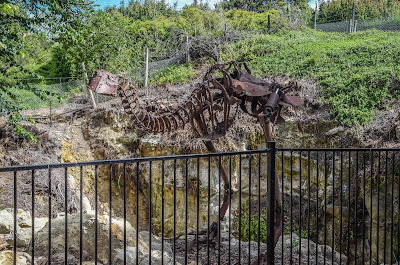 The fencing in front of the metallic Moa acts as a barrier to 'The Brewery Hole'. 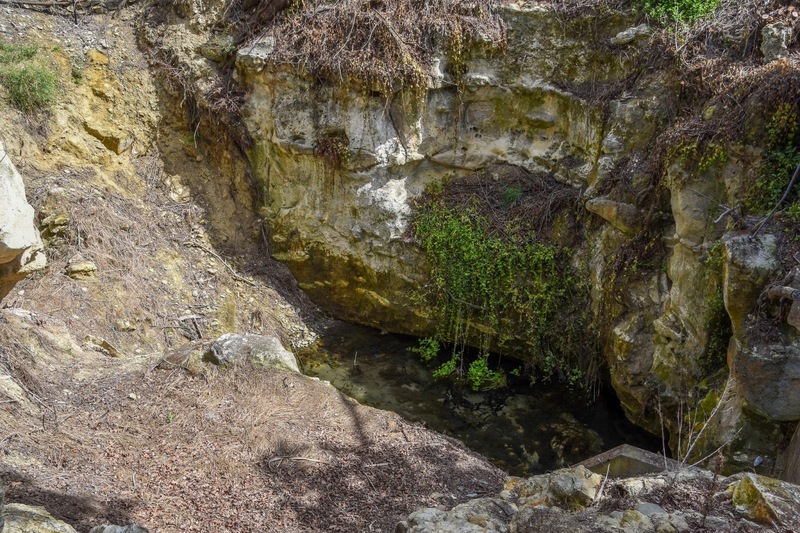 The Brewery Hole is a sunken limestone cavern created by an underground stream. According to local history the water's reflective surface was used as a mirror by young Maori women. 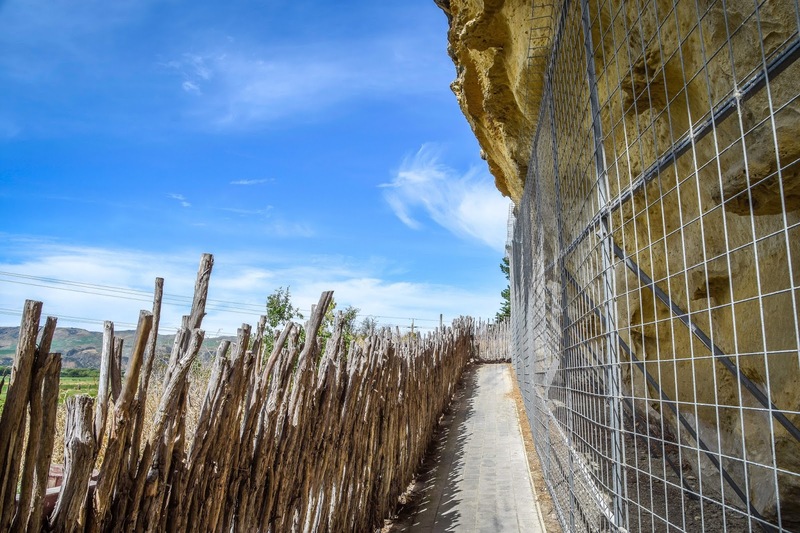 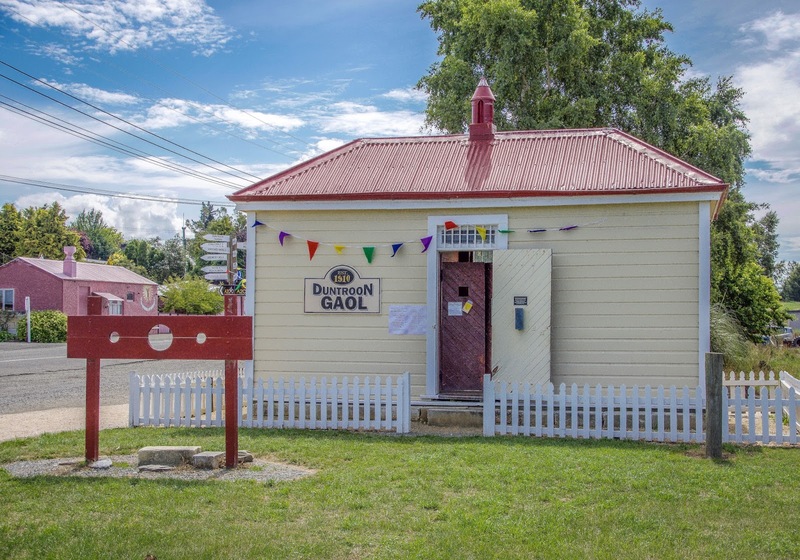 The beautifully restored Duntroon Gaol was originally built in 1910 - take a look inside to see what it would be like to be in a real police cell or try out the stocks. The old train station below is now used for accommodation. It's hard to imagine that 25 million years ago the land around Duntroon was the ocean floor. 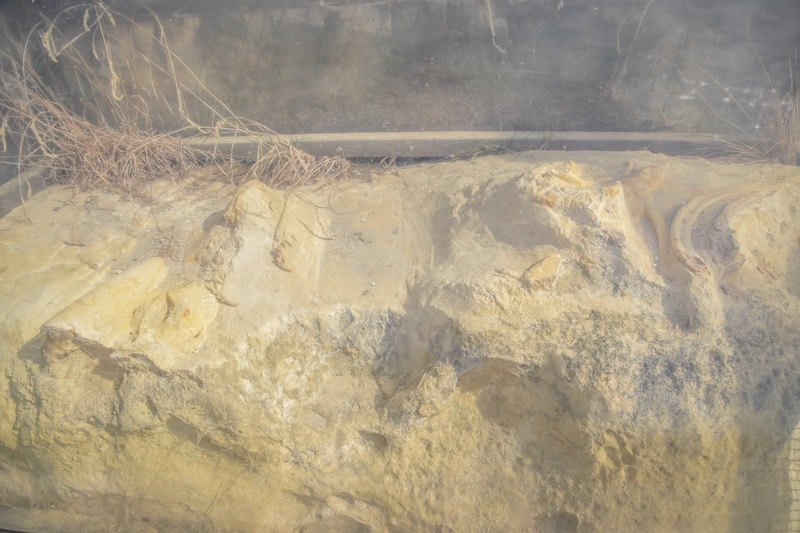 Extinct marine animals left their bones and over time have become fossilised. 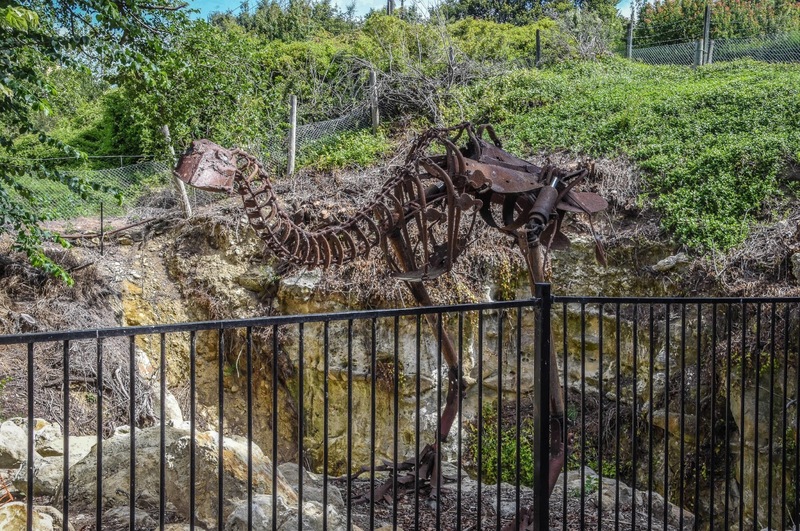 Now, they can be seen at Duntroon's Geological & Fossil Centre. 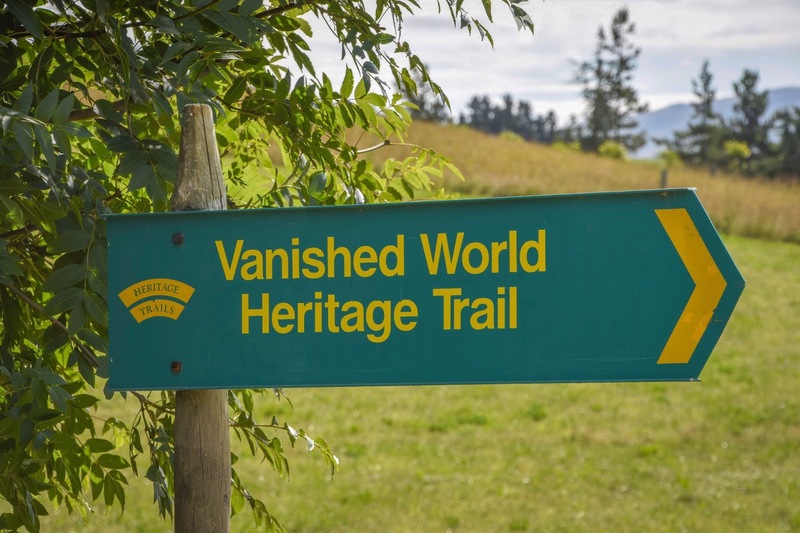 There's a self-directed tour called 'The Vanished World Fossil Trail'. The trail introduces some key geological localities in the region.The Vanished World Centre and the Trail provide an understanding of 'deep time'. 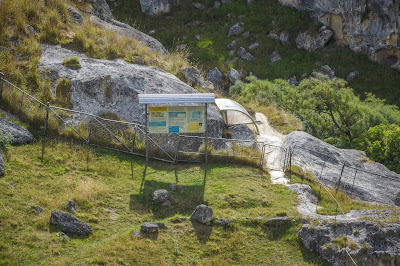 Interpretive panels are located at various sites explaining the origins of our land and its living creatures. I bet this historic pub can tell a story or two! 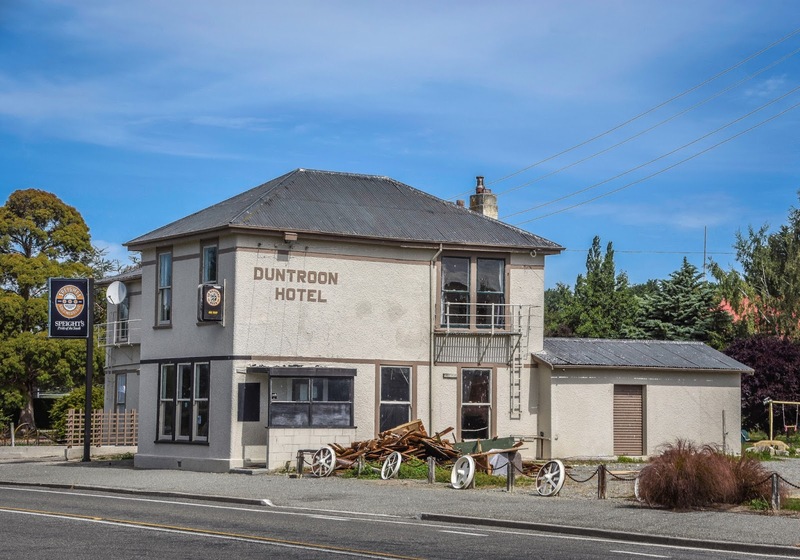 The old Duntroon Hotel. 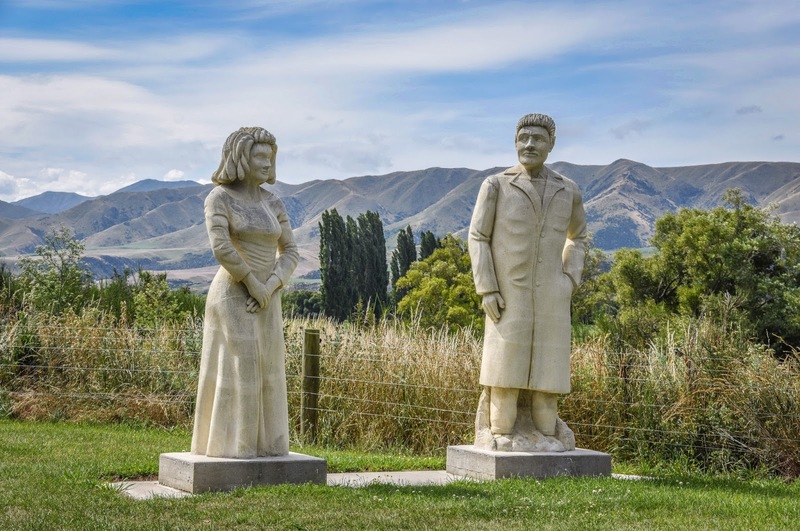 Welcoming visitors to Duntroon are the limestone statues of a pioneering couple . 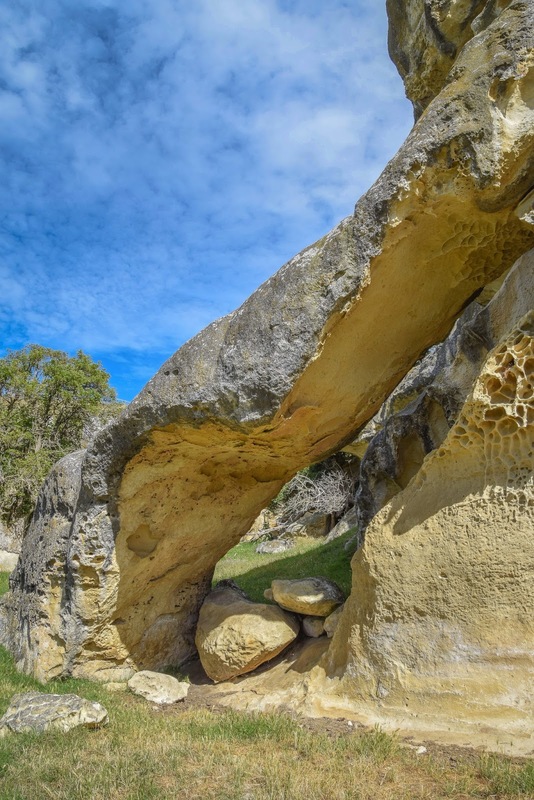 A short, picturesque drive and included in 'The Vanished World Fossil Trail' is a popular tourist attraction 'Elephant Rocks'. Elephant Rocks are unique geological limestone features, which are likened to a 'natural Stonehenge'. 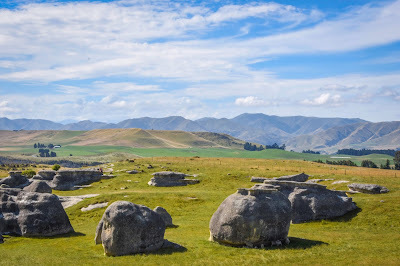 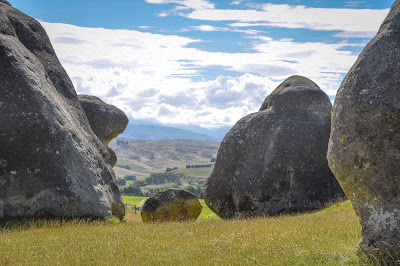 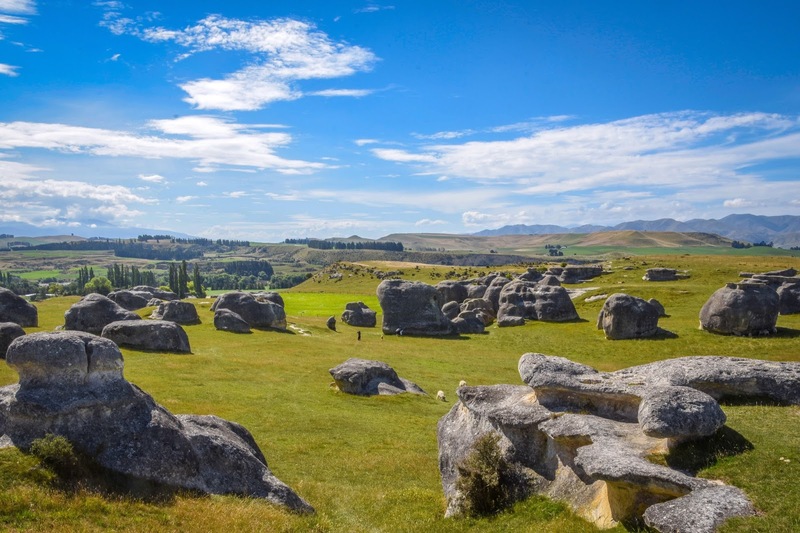 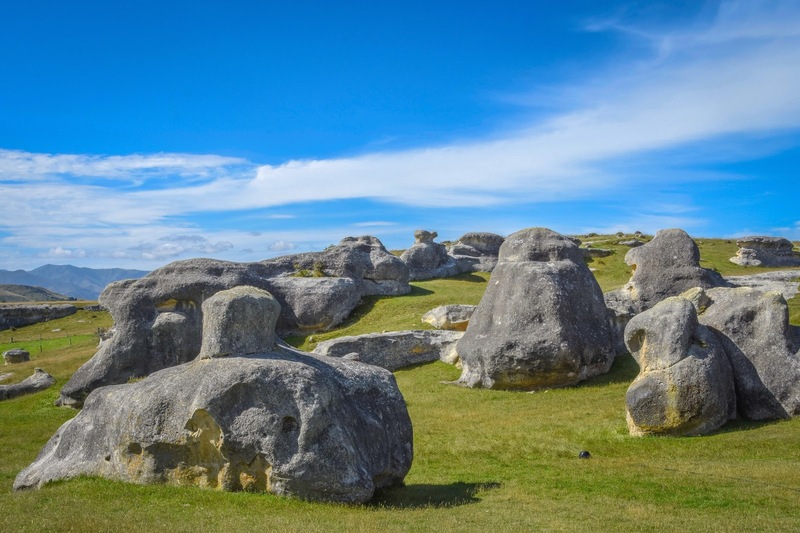 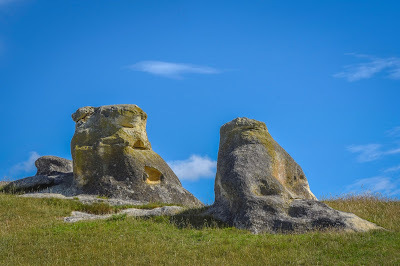 The large weathered rocks are scattered over a paddock on private farmland, with some friendly sheep to keep you company. 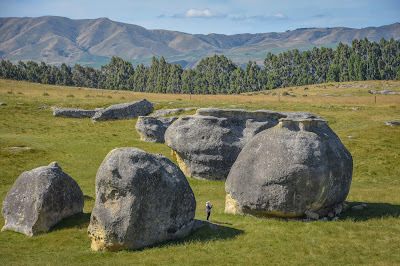 The lady in the photo below who is also taking a photo, gives an indication of how large these rocks are! 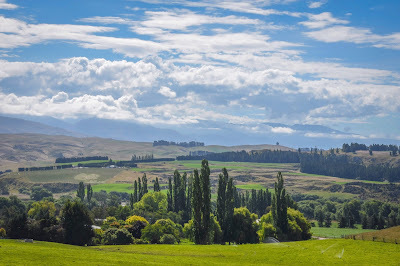 Looking across the Waitaki Valley, I imagined how spectacular it must look in every season. Autumn would be stunning, with its many shades of yellow, orange and gold - and as cold as winter would be in this region, I bet when it snows, it transforms into a winter wonderland. 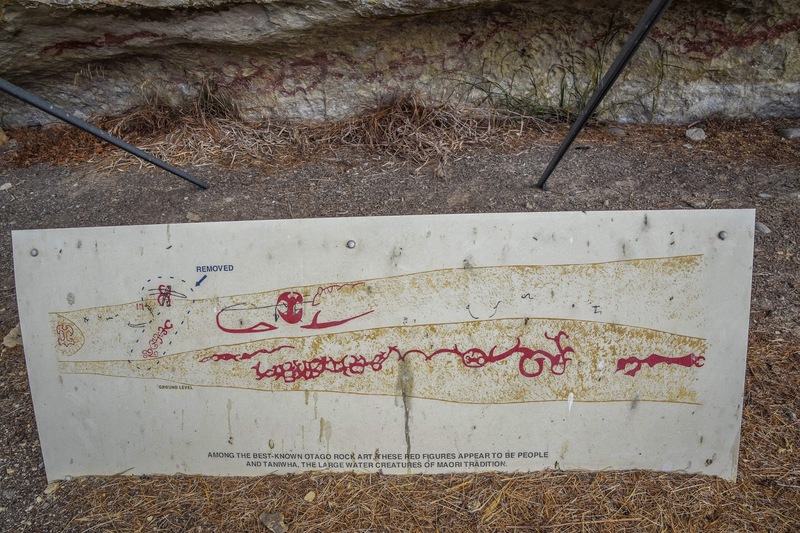 About a kilometre along the road from the Elephant Rocks is 'The Anatini Fossil Site'. 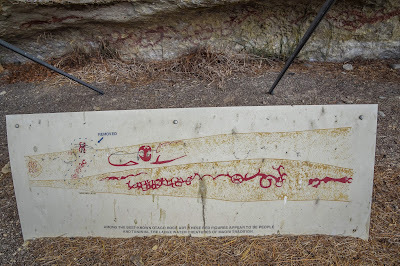 A short walk takes you to some baleen whale fossils that were buried at the bottom of the sea about 25 million years ago. 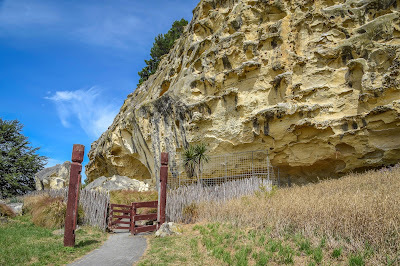 Once upon a time, this area lay under 100 metres of sea water. 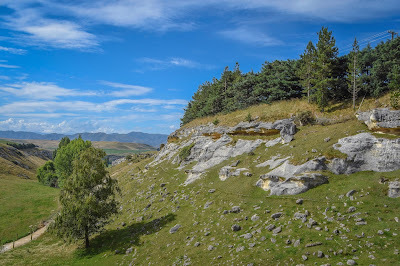 This spot is where filming for a battle scene in the movie 'The Chronicles of Narnia' took place. There's an information board in front of a plastic display case containing the baleen whale fossils. 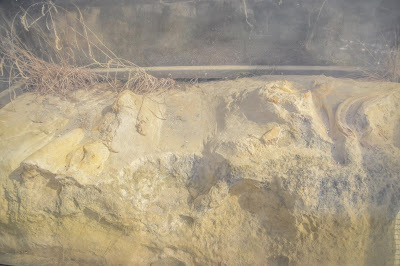 Below is the photo of the baleen whale fossils - it's a bit hazy because it was taken through a plastic covering. To the left of the photo below, is the 'Alps2Ocean Cycle Trail, which is a 312 km long track beginning in the Aoraki/Mt Cook National Park and descending 780m through the Mackenzie Basin, down the Waitaki Valley to Oamaru and the Pacific Ocean. 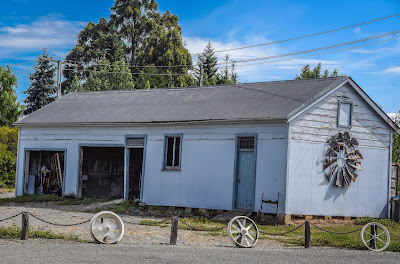 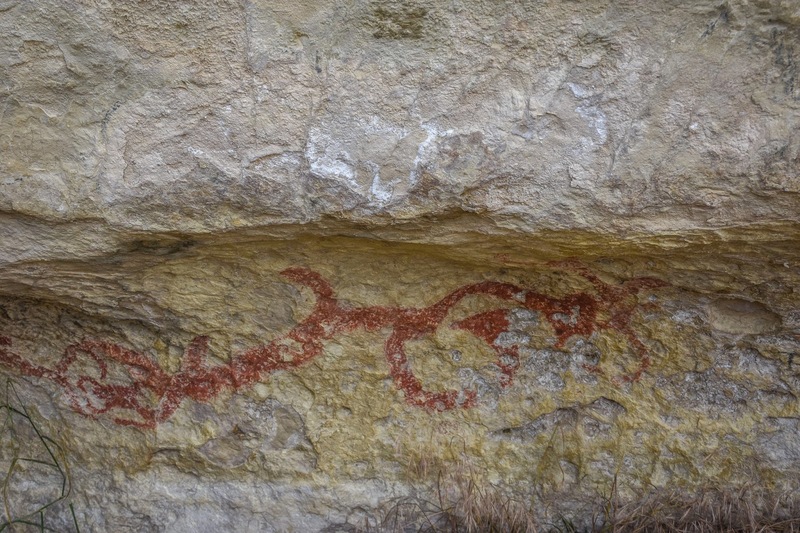 Heading back to Duntroon and driving west along State Highway 83 towards Kurow are the Maori Drawings. 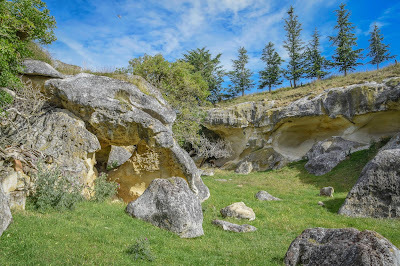 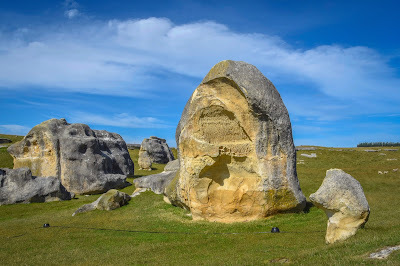 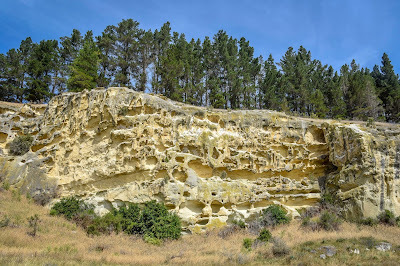 During their travels in this district early Maori used the limestone overhangs and caves for shelter. 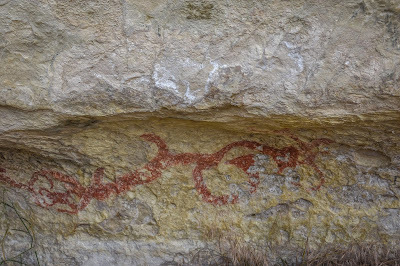 The rock faces provided an ideal surface for drawing using fat, charcoal and natural red ochre. 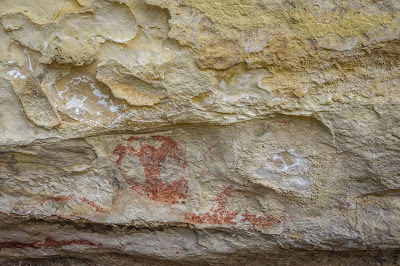 There were a couple of small information boards showing and explaining what the drawings were thought to be of. 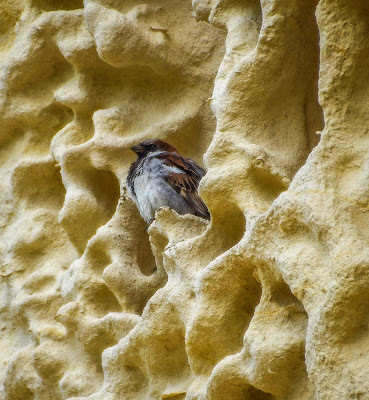 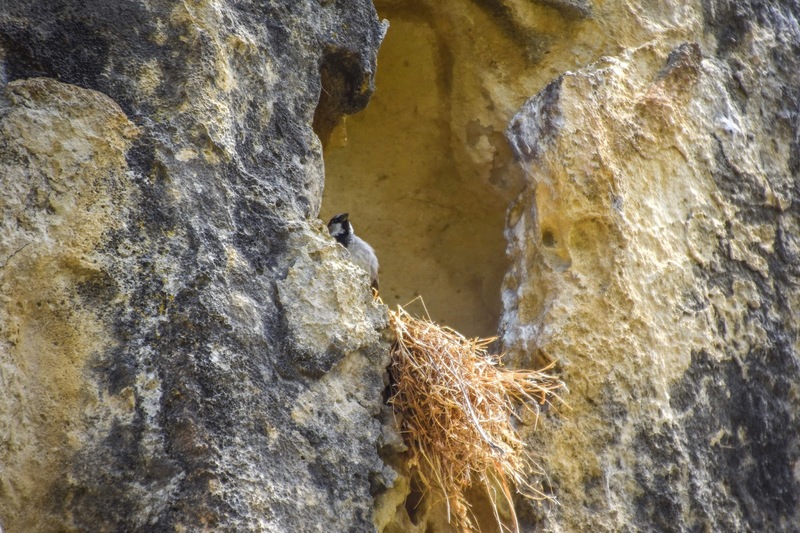 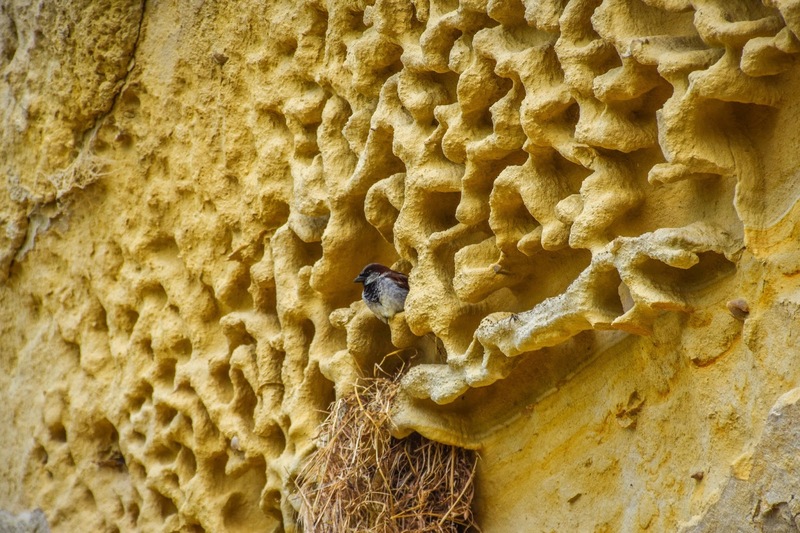 Although the Maori rock art was cool, I thought the little sparrows nesting in the limestone hollows made a neat tourist attraction too. 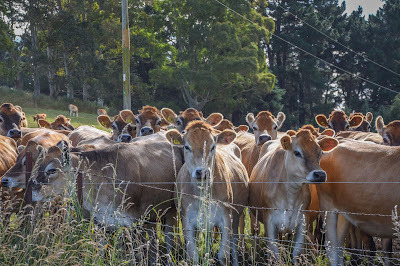 On the way back to the rig, I just had to stop and say hello to these bovine beauties! Don't you love their gentle expressions? 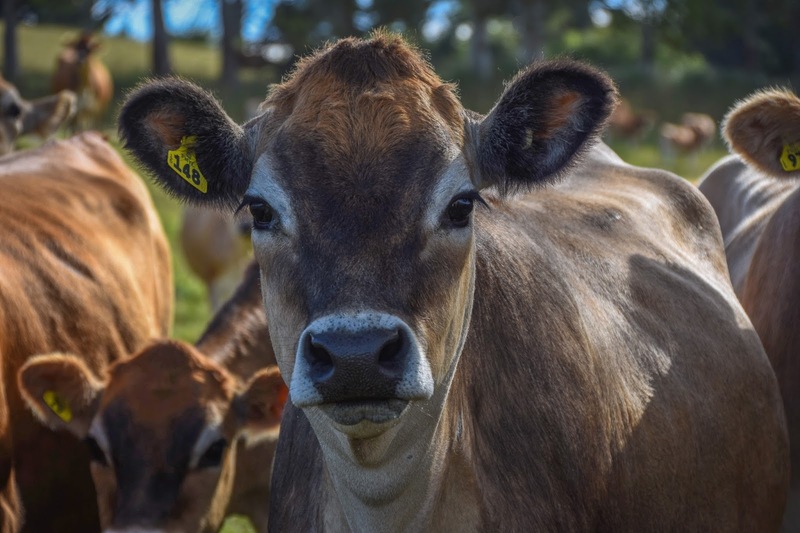 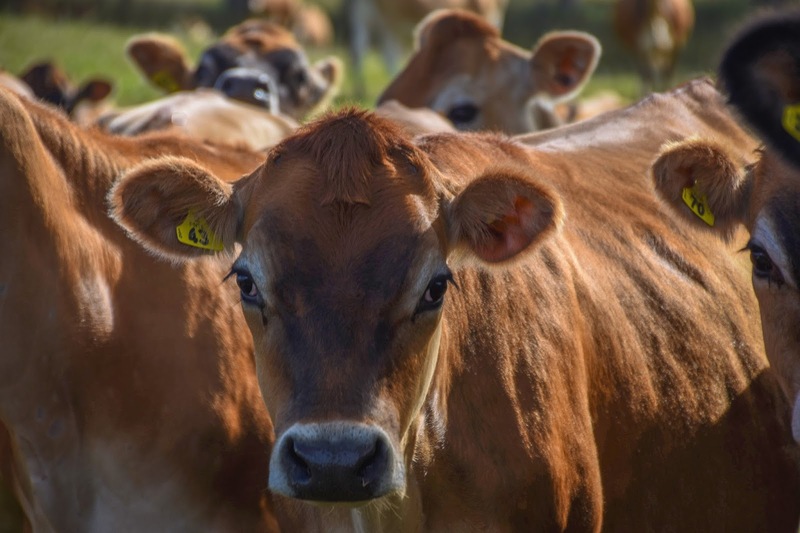 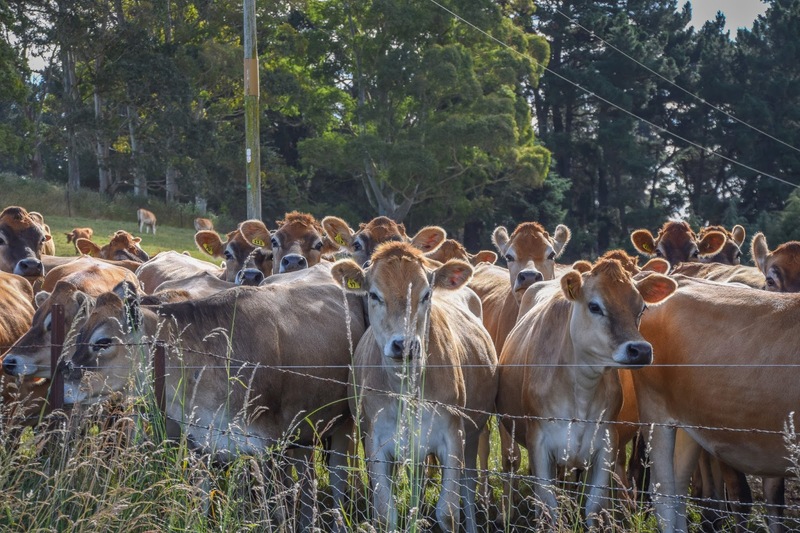 Once I started chatting to one, the rest of the herd wandered over to see what was happening. Duntroon was an unexpected delight - it's an area I'd highly recommend to stay for a night or two, or put aside a couple of hours to explore the unique landscape and special little township. 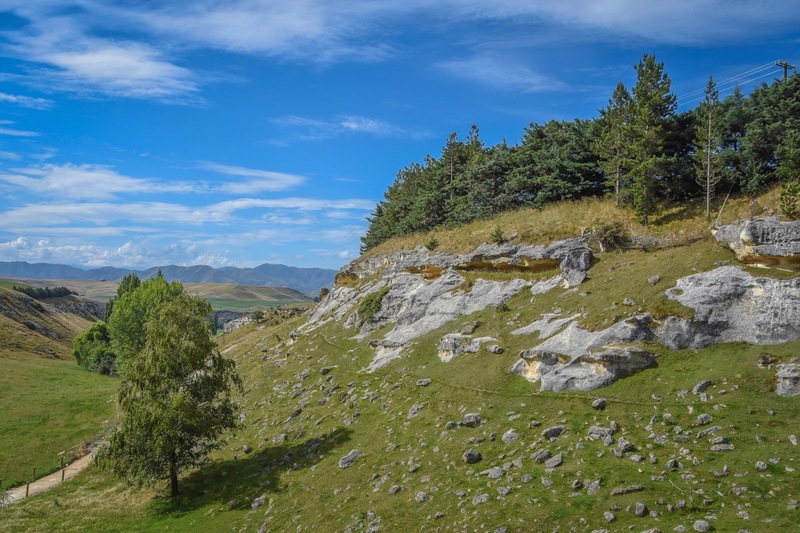 Thanks Katrina, love following your blog. 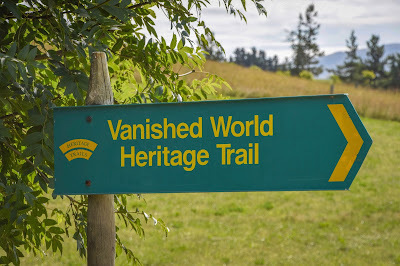 Until we get to do a big trip ourselves I am gathering lots of information on places to visit. Hi Gill. Thanks for your comment, I'm pleased you're enjoying the blog.